I’ve been learning Gaelic (Scottish Gaelic) on and off since about 1990. At the time I was prompted to start learning it by my appreciation for Gaelic music groups such as Runrig and Capercaillie, and wanting to understand their lyrics better. Even just listening to their Gaelic songs you start to absorb the language by osmosis. 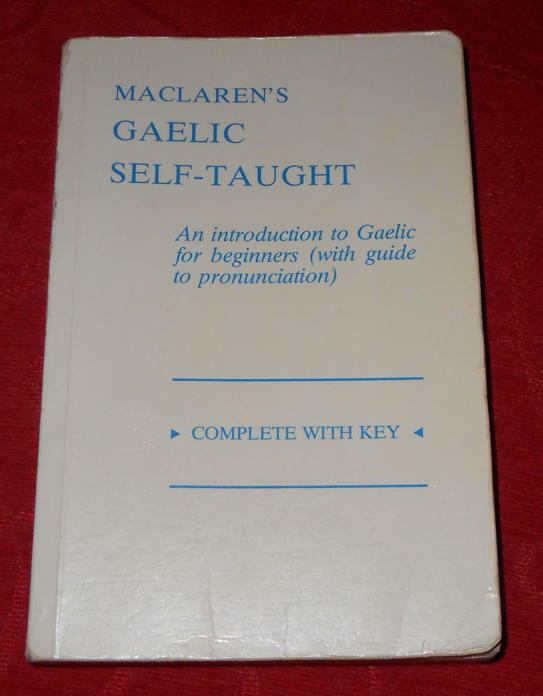 I bought myself a copy of Maclaren’s Gaelic Self-Taught. What I didn’t realise at the time was my future husband, from England, was doing exactly the same thing for the same reasons! Sadly I fell ill in late 1994, with what would turn out to be a progressive neurological disease, similar to multiple sclerosis. This causes huge difficulties in learning new languages, particularly vocabulary, because of the memory problems from the brain damage. For example I signed up for a Latin course with the Open University about a decade ago, and was doing very well in the tutor marked assessments, but each time I was effectively having to start from scratch, being unable to learn and remember the grammar or vocabulary from the previous time. It became increasingly difficult to continue, and I dropped out. But I still want to learn Gaelic. And I am going to give it another go. I’ve dug out my old self teaching book, and set myself the challenge this week of having a go at it for 3 days for 15 minutes each time. 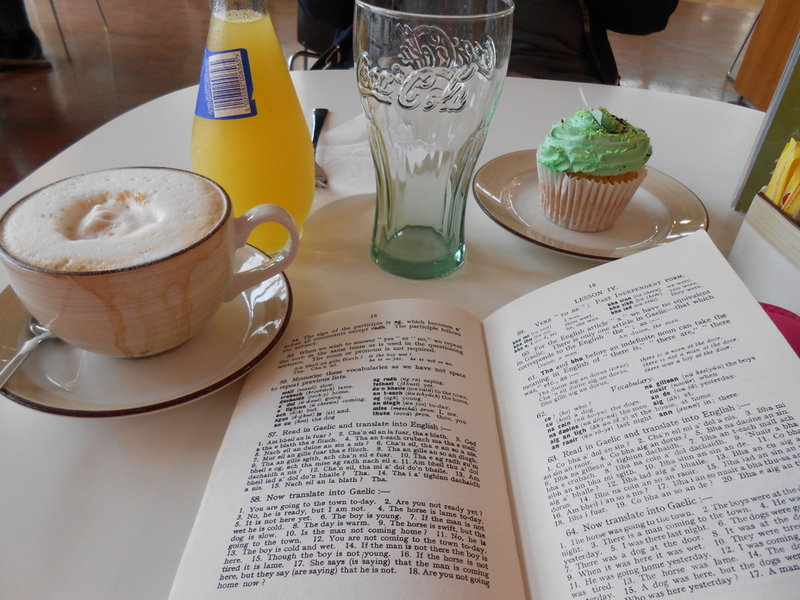 And I started today, in the coffee shop in the Angus Gateway above Monifieth. And it went very well. I was able to remember a lot of the things I had learned before my disease struck, and worked out a way forward. I am going to skip for now the less useful chapters like subjunctive cases, and jump ahead to those chapters that are of more use to me. Fingers crossed it works. I am still inspired by Gaelic songs when it comes to learning Gaelic. 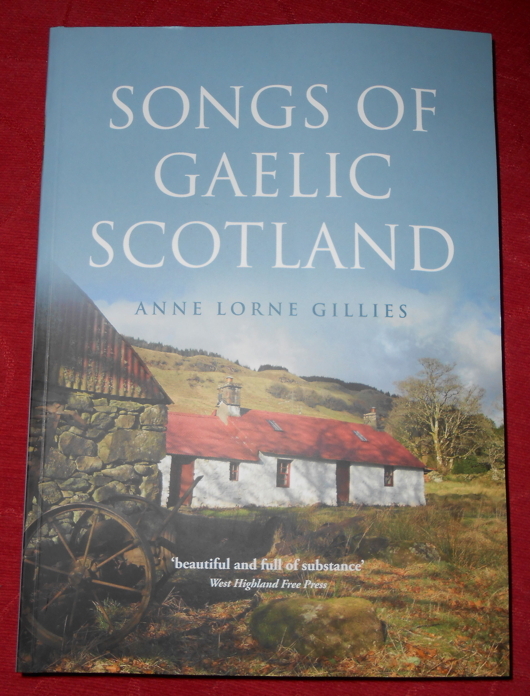 I recently bought a bargain copy of Anne Lorne Gillies’s book about Gaelic songs, which includes the original melodies in sheet music form, as well as the Gaelic lyrics and a parallel English translation. 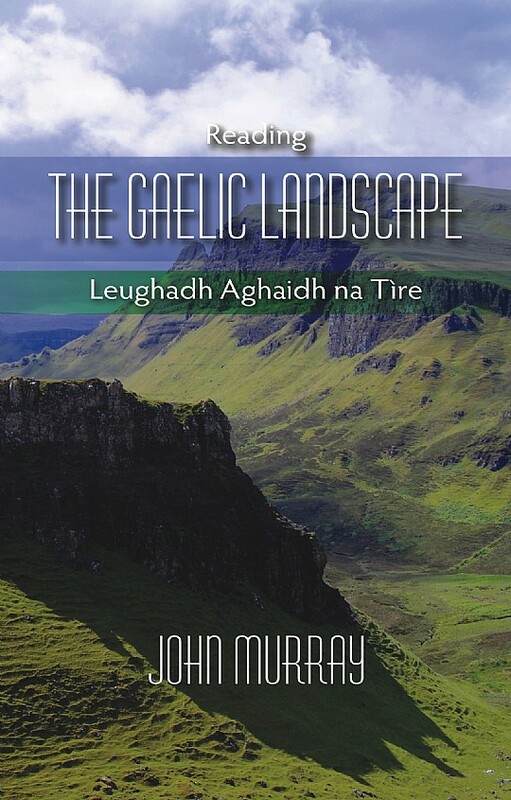 And I am also looking forward to an upcoming book about understanding Gaelic place names. I was prompted to search for this on our recent drive home from Inverness to Dundee, the scenic route down the west side of Loch Ness and then across country. I was delighted to find a perfect book was due to be published in February. I have it on preorder, and am looking forward to getting stuck into it. But maybe I can improve my basic Gaelic before then.